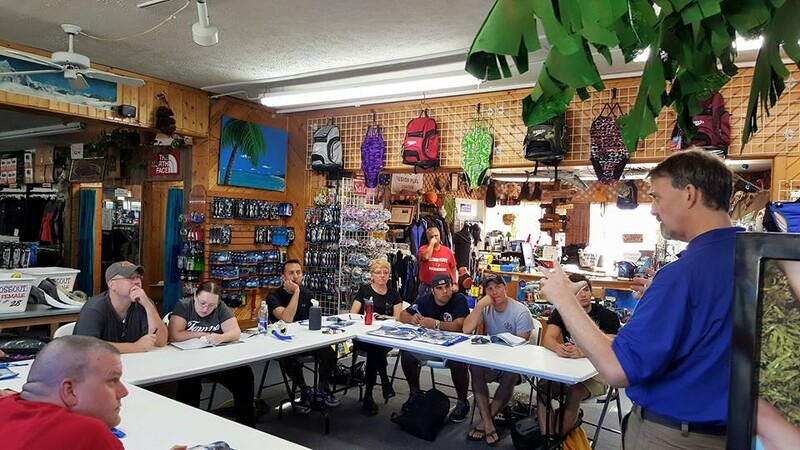 Learning to SCUBA dive and getting SCUBA certified is one of the most rewarding activities you can do. SCUBA lets you explore the 70% of the Earth's surface that is water, lets you go to interesting destinations to dive both close at home and far away, and is the gateway to a lifelong adventure. Traditional classroom: Here you review chapters in the book with the instructor. This happens over 4 or 5 sessions, usually in the evenings. Great for people who need a little extra structure to complete the material. eLearning: Self study at your own pace and schedule, with either a computer or a tablet. Perfect for anyone who is comfortable learning by themselves. Click here and start eLearning for your SCUBA class today! The pool is where you learn the skills involved in SCUBA. You will have 4-5 evenings of getting comfortable with the equipment, learning fun skills, and doing real SCUBA dives in the pool. Pool sessions are usually scheduled after the classroom sessions to make it convenient for you. You'll complete 4 dives in a local dive environment such as Haigh Quarry or Pearl Lake. You'll show off your skills you learned in the pool in the open water, and go on fun tours of the dive sites. See our contact page with current class calendars and contact information!